High quality components - Ravensburger's jigsaw puzzles for kids are crafted with premium quality, in terms of both content and material. 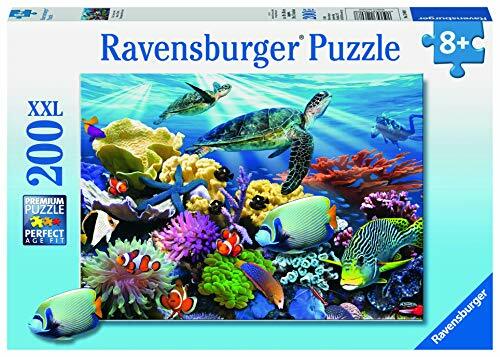 Anti-Glare surface - Ravensburger puzzles use an exclusively developed, extra-thick cardboard combined with our fine, linen structured paper to create a glare-free puzzle image and give you the best experience possible. Perfect for your child - Floor puzzles for toddlers and kids of every age help support a child's development as they play, building skills such as concentration and creativity.